If you’re a manager, you can become a motivator by inspiring your employees to high performance—and produce beyond the ordinary. Purpose. Even the mundane can become meaningful in a larger context. Howard Schultz, the founder and CEO of Starbucks once said about providing propose, “People want to be part of something larger than themselves. They want to be part of something they’re really proud of, that they’ll fight for, sacrifice for, that they trust.” Sometimes that’s all people need to get their skates on—because nothing is worse than feeling that they’re are stuck doing a meaningless task. 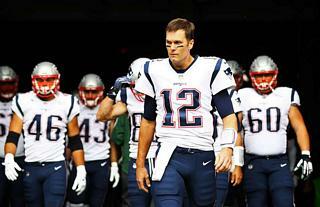 Autonomy. Empower people to innovate and make decisions. Be clear about performance expectations. Reduce your direct supervision of their work. Don’t micromanage. Appreciation. Reward your employees’ small as well as big successes. Recognition is easy and need not be expensive and time-consuming. Involvement. Interact directly with frontline employees, observe their work, solicit their opinions, seek ideas for improvement, and work directly with the frontline to identify and resolve problems. Encourage employees to talk about the “undiscussable,” even if others don’t want to hear it. Challenge. Put people in situations where they can grow, learn new skills, and gain new knowledge. Empathy. Care about your employees’ success and give them hope about their performance. Be sincere. Demonstrate you value differing opinions. Idea for Impact: The bottom line on motivation is this: People know what motivates them. Ask them. You may not have any idea what they want. Employee engagement and retention of top talent is a holy grail of people management—and nearly as hard to pin down. Employees expect managers to be fair, pay fairly, listen, value opinions, relate, develop, challenge, demonstrate care, advance, and so on. But many employees don’t know when and how to voice their concerns, or negotiate for what they want. In The 7 Hidden Reasons Employees Leave, employee-retention expert Leigh Branham discusses how companies can tackle employee disengagement and retain their best and brightest people. Using a copious amount of facts and figures from interviews and surveys, Branham explores seven reasons for employee disengagement. For each reason, Branham lists signs that managers need to keep their eyes open for, and shows how employers and employees could communicate and understand their mutual needs and desires. Employees need to feel proficient. They want to be matched to a job that aligns with their talents and their desire for a challenge. Employees need to feel a sense of worth. They want to feel confident that their commitment and their efforts translate into meaningful contributions to their company’s mission. They desire to be recognized and rewarded appropriately. Employees need to be trusted. They expect their employers to pay attention, and be honest and open in their communications. Employees need to have hope. They want to be treated fairly, and given opportunities to grow their skills and advance their careers. Reason #1: The Job or Workplace Was Not as Expected. Many new hires join their companies with a wide range of misconceptions and unrealistic expectations. Some stay and adapt, others disengage and stay, and some others disengage and ultimately leave. Branham advocates creating realistic job descriptions, and open communications between managers and employees on achieving their mutual goals and expectations. Reason #2: The Mismatch between Job and Person. Companies with strong reputations for selecting the right talent and keeping employees well matched with their jobs have a strong commitment to the continuous upgrading of talent. Managers can assign tasks so that employees can be more engaged through the use of their “motivated abilities.” Managers must keep an eye open opportunities to augment employees’ jobs by delegating tasks they might not have considered before. Reason #4: Too Few Growth and Advancement Opportunities. Branham observes that most talented employees cannot pinpoint and articulate, and often underuse their greatest strengths. He encourages companies to provide self-assessment tools and career management training for all employees, enabling them to be the best they possibly can be. Most “employers of choice” have a strong mentoring culture. 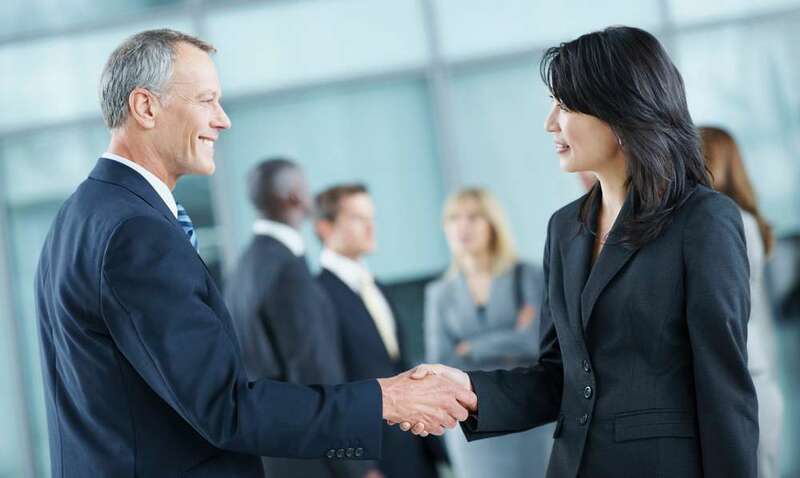 They communicate that employees must take the initiative in their own career development. Reason #5: Feeling Devalued and Unrecognized. To Branham, many companies do not have a formal and informal culture of recognition because their managers are themselves too busy with their nominal responsibilities to pay adequate attention to employees’ performance. Or, they can’t discern between average and superior performance. He lists recommendations for competitive base- and variable-pay linked to achieving business goals. He reminds managers that employees are hungry to be listened to, and want their ideas sought and implemented. Reason #6: Stress from Overwork and Work-life Imbalance. Branham observes that the relationships employees form with other employees is a glue that binds people to their workplaces. He encourages fostering social connectedness by assigning cross-functional team projects and organizing group outings. Reason #7: Loss of Trust and Confidence in Senior Leaders. When senior leaders don’t back up pronouncements such as “people are our most important asset” with their actions, even mid-level managers begin to question the decisions and the actions of senior leaders. The result is a manifest lack of enthusiasm in the workplace, and in the rising complaints and questions about policies and practices. Leaders must set the tone for workplace culture and must back up their words with actions to discourage employee cynicism and disengagement. 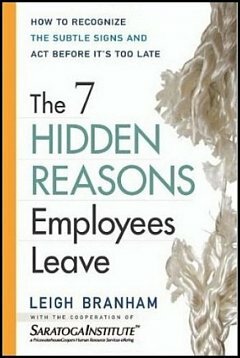 Recommendation: Fast read Leigh Branham’s The 7 Hidden Reasons Employees Leave. This book makes a great reading for managers and leaders who will need to scratch beneath the surface to recognize unhappy employees before it’s too late, and then engage their employees better and retain their top talent. 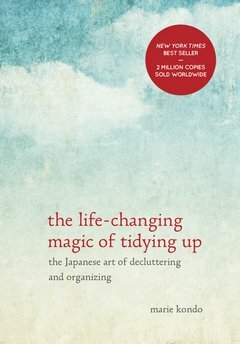 While many of the book’s themes may appear familiar, The 7 Hidden Reasons discuses many ideas and “engagement practices” in great specificity to help managers and leaders keep their antennae up for signs of bitterness and discontent, and correct before they lose their best and brightest people. This practical tome can also help employees discuss and resolve their needs and desires. Developing a deep understanding of what causes employees to lose motivation, disengage, and leave cannot be ignored or overlooked. Managers and leaders who can resolve the divergence that employees feel between their personal values and the best interests of their businesses will gain immeasurably by having a highly engaged and productive workforce. I’ve previously stressed the importance of problem-finding as an intellectual skill. I’ve also highlighted why risk analysis and risk reduction should be one of the primary goals of any intellectual process. In this article, I’ll write about being proactive in identifying problems before they evolve into crises. As the Wells Fargo accounts scandal unfolded, it was clear that Wells Fargo’s leadership was well aware of the burgeoning problems early on, but failed to act decisively and nip the problem in the bud. 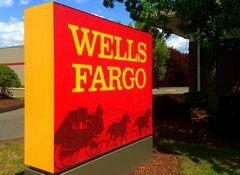 Given impossible sales quotas to reach, Wells Fargo’s “high pressure sales culture” opened as many as two million bank and credit card accounts on behalf of its customers without their consent. Employees were rebuked or even fired for not meeting aggressive cross-selling targets. Human nature is such that high-pressure demands can deplete the willpower people need to act morally and resist temptations. And such demanding circumstances encourage people to go into defensive mode, engage in self-interested behaviors, and consider only short term benefits and dangers. Wells Fargo’s leadership reportedly had data about ethical breaches, but they ignored or misjudged the impact of the problem. Wells Fargo even held a two-day ethics workshop in 2014 unequivocally telling their employees not to do that. As per an internal review, managers knew that 1% of employees had been fired for “sales integrity” violations. There were three very significant mistakes, but there was one that was worse than all the others … The main problem was that they didn’t act when they learned about it … at some point if there’s a major problem, the CEO will get wind of it. And at that moment, that’s the key to everything, because the CEO has to act. It was a huge, huge, huge error if they were getting, and I’m sure they were getting, some communications and they ignored them or they just sent them back down to somebody down below. Andy Grove (1936–2016,) the illustrious cofounder and CEO of Intel, was a famous worrier. 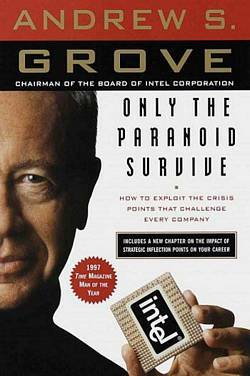 At Intel, the focal point of Grove’s leadership style was worry and skepticism. He believed that business success contains the seeds of its own destruction, and that in order for an organization to have longevity, it needs to continue to worry about the future. The things I tend to be paranoid about vary. I worry about products getting screwed up, and I worry about products getting introduced prematurely. I worry about factories not performing well, and I worry about having too many factories. I worry about hiring the right people, and I worry about morale slacking off. And, of course, I worry about competitors. I worry about other people figuring out how to do what we do better or cheaper, and displacing us with our customers. The principal tasks of leadership are (1) identifying the biggest risks and opportunities, and (2) allocating organizational resources. 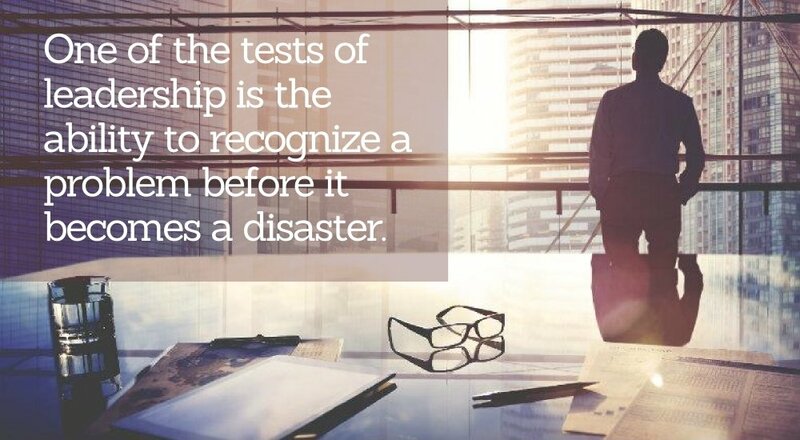 Therefore, one of the tests of leadership is the ability to recognize a problem before it becomes a disaster. If identified and addressed early, nearly any problem can be resolved in a way that is beneficial for everyone involved. Many leaders tend to be reactionary—they claim, “why fix something that isn’t broken.” Even when they see an impending problem, they may assume that the problem “isn’t that big of a deal” and wish the problem will just go away. Alas, many problems never go away; they only get worse. To become a good leader, be paranoid—always assume that “there’s no smoke without fire.” If, according to Murphy’s Law, everything that can go wrong will go wrong, the paranoid leader has an advantage. Whenever you are doing anything, have your eyes on the possibility of potential problems and actively mitigate those risks. Never allow a problem to reach gigantic proportions because you can and must recognize and fix it in its early stages. Searching for a new job without revealing that you aren’t very pleased at your current job or getting fired can be a challenge. 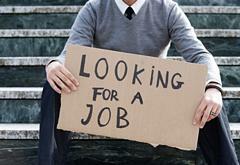 Here are four ways to job-hunt with caution. Examine your motivations before job-hunting. Many people who jump ship in frustration run into the same problems that were an obstacle with previous employers. Try to ask for honest feedback about how you’re perceived by your managers and what’s holding you back from a promotion. You’ll find it easier to tackle career progression frustrations in a familiar environment at your current employer rather than at a new company where you’ll be under pressure to learn the ropes and produce results quickly. Respect your employer’s time and resources. Don’t job-search on company time—your current job responsibilities are your priority. Looking for another position typically involves having to be away from your office for interviews; use your vacation days—not sick days—for job-searching and interviewing. Be careful about using your work computer to look up jobs, contact recruiters, or update your social-media presence. Be tactful about whom you tell that you’re looking for another job. Even if you trust your coworkers, you can’t limit what they may share with others. Some of your coworkers may be ethically obligated to keep your boss and your company informed about any prospective changes in staffing or anything that might affect the organization’s goals. Be cautious about how you promote yourself on LinkedIn and job-search websites. If you are offered a new job, be straight with everyone. Inform your boss immediately. Give as much notice as required, plan to tie up loose ends, and offer to help transition your responsibilities to a successor. Don’t be unreasonable in leveraging your new job offer to negotiate a counteroffer from your employer. Do your best to leave on the right note. Be consistent in what you tell different people about why you’re leaving. Do not burn bridges in the job-transition process. What’s Behind Your Desire to Job-Hunt and Jump Ship? Engaged employees not only contribute more and enhance bottom-line results but also are more loyal and therefore less likely to leave their organizations voluntarily. Here are seven widespread root causes for employees’ lack of enthusiasm and commitment to a workplace. Employees find the job or workplace to be different from what they had expected when hired. Employees are not well matched or challenged in the jobs to which they have been assigned or promoted. 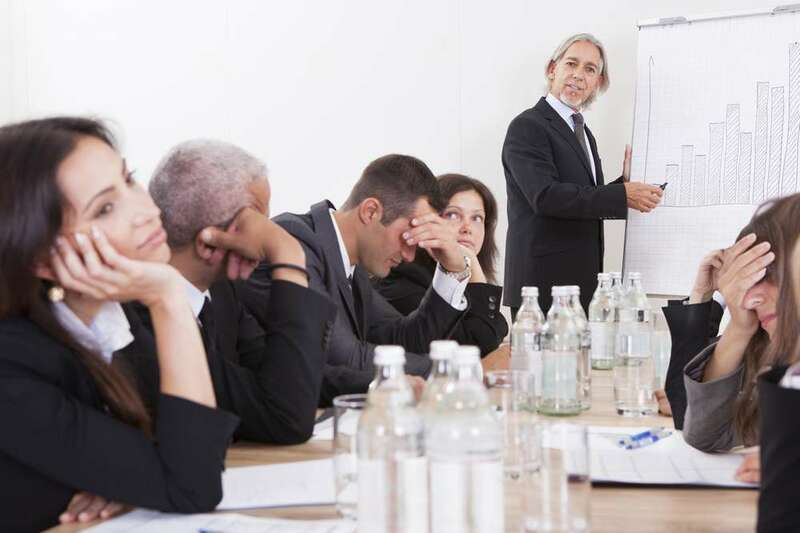 Employees receive insufficient coaching and feedback from their boss. Employees recognize few prospects for professional growth and advancement. Alternatively, employees are obliged to log two or three years of unexciting assignments to “pay their dues” before being considered for promotion. Employee feel undervalued, underpaid, or under-recognized. They don’t get enough informal acknowledgement for their contributions or feel constantly “out of loop.” Their managers don’t seek opinions or supply the right tools to excel at work. Employees feel stressed or burned-out due to overwork or work-life imbalance. Employees have lost trust and confidence in their management and leadership. Idea for Impact: Disengaged employees are more likely to leave their organizations. Moonlighting—working a part-time job or having a business “on the side”—can pose a challenge for employers. Moonlighting can lead to divided allegiance, conflicts of interest, and poor job performance. Employers expect employees to be present and prompt at their jobs. If employees are hustling to attend to multiple commitments, fatigue, lack of sleep, poor attentiveness, tardiness, and absenteeism can become problems. When an employees’ moonlighting hurts their on-the-job performance, employers are within their rights to discipline and terminate employees. For these reasons, some employers limit or prohibit moonlighting. One way to head off moonlighting problems is to have a policy about part-time jobs and running side businesses. Institute a policy that sets performance expectations, protects proprietary information, avoids conflicts of interest, and averts divided allegiance. Your moonlighting policy cannot regulate employees’ off-duty activities or prohibit employees from having other jobs. But it may expect employees to disclose and get approval for supplementary employment. A moonlighting policy may also require senior managers and leaders to disclose directorships and financial interests in other companies. If you find an employee selling stuff to other employees or soliciting outside business during paid working time, discourage it as soon as you discover it. Explain how this interferes with your office’s work. Discourage your employees from turning your office into a showroom and making customers of other employees. Selling merchandise could impair work relationships when a buyer is unhappy with a product or service. Worse yet, side-businesses can easily grow unmanageable in case of network marketing programs (e.g. Amway, Herbalife) that encourage upselling or getting others involved as salespeople. Employees can involve their colleagues in side-businesses outside your office, as long as such activities don’t harm at-work relationships. In general, moonlighting is neither unethical nor illegal. It may become an issue when the employer specifically prohibits it and/or where the other job is with a competitor, supplier, or customer and is therefore a potential conflict of interest. The only time you really need to challenge an employee’s moonlighting is when it can affect your business in terms of conflicts of interest and deficient work performance. Bear in mind: don’t overlook or disregard such concerns until they become major problems. Employee turnover can be expensive. Managers must find and hire replacements, invest in training the new employees, and wait for them to get to up to speed—all while suffering productivity shortfalls during the transition. The more talented an employee, the higher the cost of replacing him/her. Here’s what you need to do to keep your star employees around. Identify them. Find key attributes that distinguish top performers from average performers. Then rank your team against these attributes and identify those employees who are critical to your organization’s short- and long-term success. Perform salary and compensation research within your industry and offer an attractive-enough benefits package. Beyond a particular point, compensation loses much of its motivating power. Consider flexible work arrangements. Understand what your star employees value and help them realize their values and regard their work as meaningful, purposeful, and important. Often, the risk of losing employees because their personal values don’t correspond with the team’s values is far greater than the risk of losing them because of compensation. Get regular feedback from your star employees. Ask, “What can I do as your manager to make our organization a great place for you to work?” Let them tell you what they need and what they like and don’t like about their jobs. Adjust their assignments and their work conditions accordingly. Invest in training and development. Give star employees opportunities to develop their skills and increase their engagement and job security. 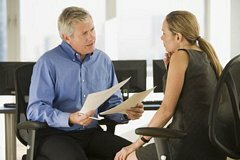 Hold frequent and formal career discussions to determine employees’ goals and aspirations and coach them. Give your star employees the autonomy, authority, and resources to use their skills and do their jobs in their own way. Keep them challenged and engaged. Make work more exciting. Set aggressive, but realizable goals. Move your star employees around into positions in the company where they will face new challenges and develop critical skills. Employees would like to be challenged, appreciated, trusted, and see a path for career advancement. Appreciate and give honest feedback regularly. Make timely and informal feedback a habit. Don’t disregard employee performance until the annual review. Help employees feel confident about your organization’s future. Earn their trust. Before you decide to promote an employee, ask yourself the following six questions about the candidate. The more affirmative answers to these questions, the better the chances for the promotion to succeed. Examine and resolve any “no” answers before considering the employee for other job transitions. Is the candidate performing her current duties well enough to justify a promotion? Can she hand over her current responsibilities to a new person? Does she possess a sound understanding of the fundamentals of a business and have the requisite operating experience? Is she keen to take on a new job? Is she familiar with the responsibilities and priorities of the new job? Is she willing to make decisions and be accountable for results? Is she qualified and experienced enough to do at least part of the new job? Is she adequately trained or ready to be trained in the new job’s requirements? Are her interpersonal skills adequate to work with employees, customers, suppliers, peers, and bosses in the new job? Idea for Impact: If employees are not entirely prepared for new assignments, you are unintentionally setting them up for stressful transitions, bitterness, or eventual failure. Beware of the perils of promoting people too quickly. Human Resources (HR) can be a great resource to help you secure a promotion, be a better manager, and even deal with an employee grievance/claim. However, if you’re having a serious problem with a manager or a colleague, don’t pour your heart out to your HR person and ask that no action be taken. You cannot count on the confidentiality of your discussions. While your HR person intends to help you, he also has an obligation as well to helping your manager and your colleague deal with you. Similarly, do not discuss any career-transition plans (switching to another job within your company, resigning, job hunting, or retiring) with HR. HR is obligated to keep your manager informed about any prospective issue concerning staffing or anything that might affect organizational goals. HR has no lawful obligation to maintain confidentiality in anything you discuss. You may expect your HR person to remain confidential to the greatest possible extent. However, remember that the HR person’s primary loyalties and responsibilities concern the organization’s business needs. He is duty-bound to investigate employee complaints and involve other levels of management, especially in case of possible discrimination or harassment concerns. Expect your HR person to pass on any information that’s in the organization’s best interest, even after promising confidentiality. HR should never mislead employees about the level of confidentiality they can expect. Such HR people aren’t behaving ethically and, over time, tend to lose employees’ and managers’ trust. Go to HR for guidance on solving people problems or for help with organizational policies and procedures. See a reliable friend or a trusted peer to confide problems and challenges. Do not share anything with HR that you wouldn’t share with your manager. Idea for Impact: HR is obligated to act on serious issues they learn about, whether or not you want them to. Therefore, never assume that conversations with HR will remain wholly confidential. Be discriminating in what you disclose to HR.